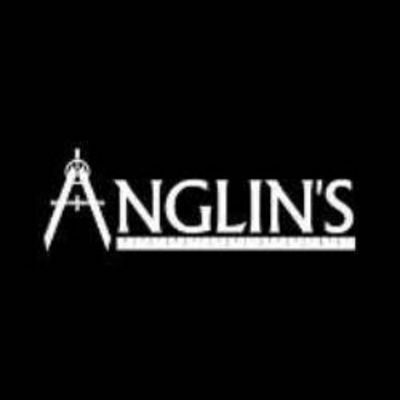 Anglin's Foundation and Masonry Repairs installs steel push (resistance) piers and helical anchors that are individually tested to proper PSI (or torque pressure) gauge ratings to stabilize or lift a structure. Our method is to hydraulically press steel piers to bedrock or equal load bearing strata with our resistance piers, or torque helical anchors to the proper depth to reinforce foundations. Piers and Masonry Repair is a plus for us. We truly are a one time stop shop. We repair sinking foundations, steps, porches, and leaning chimneys, basement walls, etc. These repairs often have to be vertically and horizontally placed back simultaneously. Simply stabilizing these problems will not correct the visual ending result. Having the experience as being a masonry contractor, we have learned that plumb, straight, and level are the essential necessities for all walls. Once installed properly, the foundation is now stabilized. We finally have gotten it down to a science over the years of on the job experience. Our biggest asset is we are two companies in one– A foundation and masonry repair company. Unlike many of our competitors, we will patch any masonry structure on hand. We locate matching brick, tuck point and repair mortar joints, patch conventional and synthetic stucco, repair concrete and stone work. Once we complete the job, your repairs are finished. The hassle of finding a qualified contractor to do these types of repairs (we are told by our customers) is very exhausting…. let us remove that with a company that can do it all for you. Foundation repairs reinstates value to your home, we save you money by being two companies in one, and that will greatly reduce the repair price. Your home may be your most important investment, protect it before foundation problems become too costly to be repaired. We have many trained experts who have been with us for over 20 years. For over 40 years, we have been at the same location with the same business phone number! That’s hard to find in today’s business economy. We have been here for our customers and always will be. We’re the oldest complete company of our kind. MR. Foundation Repair diagnoses and repairs structural problems. They are certified dealers and installers of Chance Helical Pier Foundation systems. J. H. Kinard Chimney and Fireplace Co. specialize in masonry fireplaces and repairs of all kinds.